HEVIK IN MOTOGP: THE SPONSORSHIP WITH THE LCR HONDA TEAM HAS BEEN CONFIRMED AGAIN THIS YEAR! Morocco Adventure: new Hevik products pass the test! When you are getting ready for a journey, the first thing that comes to mind is your equipment. Even more so if the trip in question is to Morocco, the country that was the backdrop to Adventure Tour 2018, sponsored by GIVI and HEVIK. When it comes to Motorcycle Clothing, Hevik garments are certified for safety! For those travelling by motorcycle, safety is the primary rule. EICMA 2018 is set to begin and Hevik is in the front row! Once again this year, we have an appointment at the Milano Rho Exhibition at EICMA, the International Cycle, Motorcycle and Accessories exhibition, now in its 76th edition. THE MERAK JACKET BY HEVIK: STYLE, COMFORT AND SAFETY EVEN IN SUMMER. In the '70s and' 80s, Merak was the name of a Maserati, both sporty and stylish. 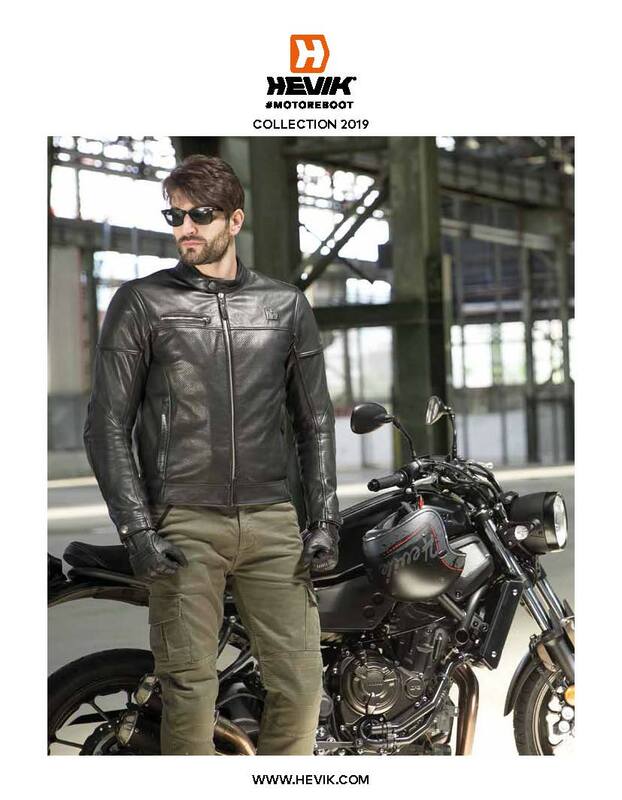 That's why today the same name identifies the new motorcycle jacket designed by Hevik that ensures maximum protection even during the summer season, without sacrificing sportiness and style. Hevik #MOTOREBOOT: Have a trip on two wheels planned? Before heading off, preparation is vital! Before embarking on a trip, it isn’t enough to just perform some routine motorcycle maintenance, it is also essential to wear clothing that is suited to all weather conditions. Titanium: the jacket designed for motorcycle adventures! When riding a motorcycle, it is advisable to be equipped with clothing that ensures maximum comfort, even in the event of changeable weather conditions. Hevik presents the new Spring Summer Collection in the study of the Italian photographer Gianni Rizzotti. Our premises will be closed for summer holidays from 14th August 2014 at 12:00 (noon) to 22nd August 2014 included.